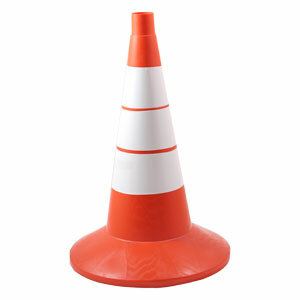 In the catalogue of PROTECT Company you can find modern safety equipment matching the current traffic conditions. Among them traffic cones. 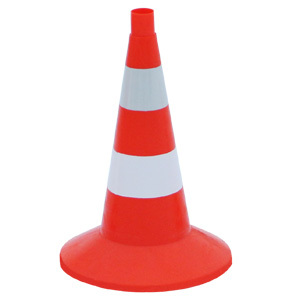 We offer you to buy polyethylene cones at a competitive price. 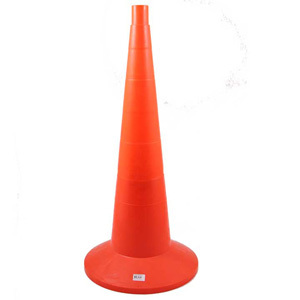 A large range of cone types is developed, that allows choosing the most suitable traffic cone for any specific application. 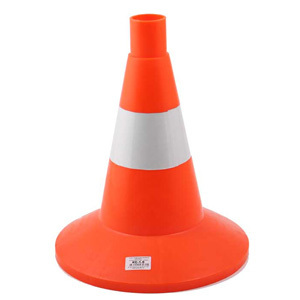 There are no solid body items in our catalogue: practice has shown that they are less durable than the traffic cones made of dense and elastic polyethylene. 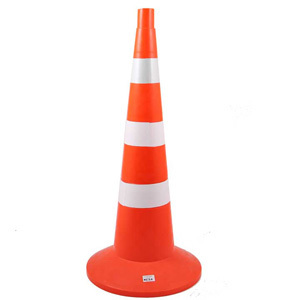 The cause of this fact lies in the ability of the latter cones to restore their initial shape after the vehicle impact, whereas the solid body cone gets damaged, if hit by the vehicle, and becomes unsuitable for further exploitation. 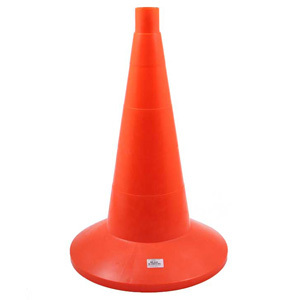 • Various applications: we supply traffic cones at affordable prices to road services, organizers of sports events, driving schools. 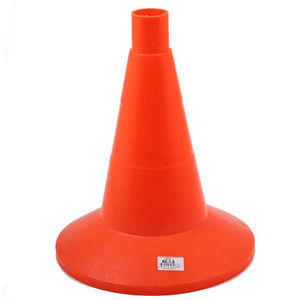 320 mm high items ensure comfortable use for the police; the higher ones – 520 mm high – are perfect for parking lots and marking out areas for recreational activities or sports competitions. 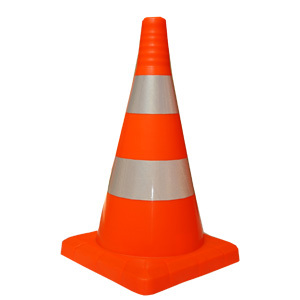 Traffic cones 750 mm high are recommended for road construction and maintenance works as the means of temporary fencing. 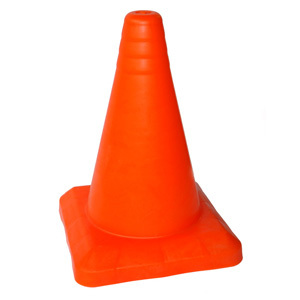 Adding other items – like plastic marker posts, safety mesh or traffic cone lights – one can construct efficient protective fence, which will be distinctive at any time of the day or night. 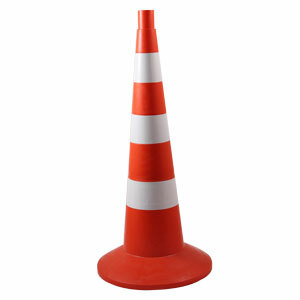 • Usability: the broad base of traffic cone allows its installation on any ground. To reduce the possibility of its being blown down by the wind we equipped some items with heavy weights. 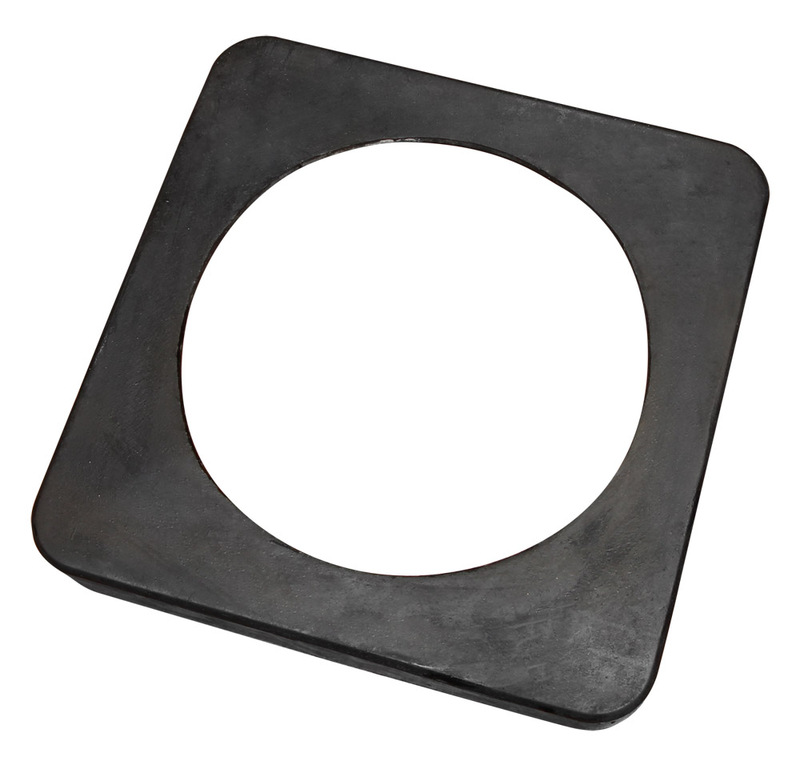 Modular design gives an opportunity to use the weight if necessary. 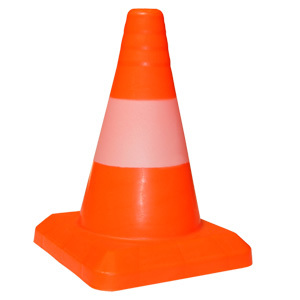 Traffic cones are hollow inside, that’s why they can be inserted into each other for storage or transportation.